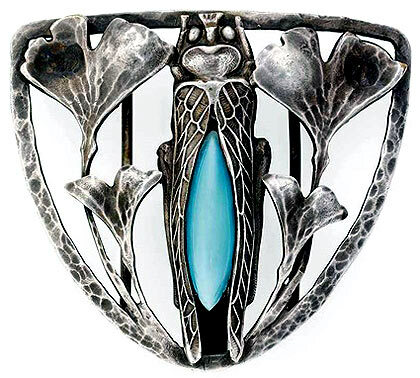 Beautiful buckle with scarab and Ginkgo leaves by Edgar Brandt, c. 1905. Made from silver, tinted glass, 6 x 7 cm. More Ginkgo art by Edgar Brandt on my website: here and here.